Many of us will have experienced the distress and embarrassment of an acne breakout at some time during our teens and early 20s. Even though acne is something you eventually ‘grow out of’, for many people, acne causes significant psychological suffering and more so if the acne results in scarring. If you have acne or acne scars that make you feel self-conscious or upset, there is a safe and effective treatment options available to you to reduce its appearance and make the skin look smoother. This page examines how acne occurs, what causes the scarring and the treatment options available for acne and acne scars. Epidermis – a thin layer consisting of the skin cells (keratinocytes and melanocytes) that form the skin’s protective barrier. Dermis – containing sweat glands, hair follicles and oil glands, nerves and blood vessels, and cells called fibroblasts that produce collagen and elastin. Subcutaneous fat layer – connects your skin to the underlying muscles and bones and controls your body temperature. Acne is the result of blocked hair follicles, that get infected by bacteria. The infection makes the area red, swollen and sore. If an infected hair follicle bursts deep in the dermis of the skin, the body acts to repair the damage. A scar is formed if the repair is irregular, which changes the appearance of the skin’s surface. The best way to prevent acne scars is to either prevent the acne occurring, or treat it quickly so there is no long term damage to the underlying skin structure. The most common form of acne is called Acne Vulgaris and is linked to adolescence because it is affected by the increase in production of hormones at puberty. Increased hormone levels trigger increased oil production by the sebaceous glands attached to the hair follicle (Figure 1). The excess oil clogs the narrow shaft of the follicle and forms a plug. The hair follicle swells as more oil is produced under the plug. The growth rate of cells lining the hair follicle increases and as they die, they mix with the oil and form a bigger plug called a comedone. The plugged hair follicle becomes a target for bacteria called Propionibacterium acnes. The rapidly growing bacteria produce chemicals that irritate the cells lining the hair follicle, making them die quicker and create more debris to plug up the hair follicle. The body’s immune system is activated to fight the bacteria. The immune response creates inflamed, sore and pus-filled acne lesions. Acne vulgaris affects the face, neck, chest and back because these are the areas of the skin with highest number of sebaceous oil glands. Early treatment of acne reduces the risk of forming scars. Treatments options include ointments and antibiotics that either kill the Propionibacterium, reduce the over production of follicle cells and reduce the inflammation. These options can work well, but have their limitations. The Propionibacterium can become resistant to the antibiotics used and skin reactions and allergies often develop with prolonged treatment with benzoyl peroxide and retinoic acids. More seriously, the use of isotretinoin (Roaccutane) has been linked to increased levels of depression and suicide. The link has not been definitely proven, however Roaccutane is a serious drug that can cause birth defects. There are safer, effective treatment options available, such as the eTwo Sublative Treatment System, which uses radiofrequency energy to penetrate deep into the skin. The heat transferred into the dermis reduces the production of oil, the primary cause of acne and kills the bacteria causing the inflammation. More information on how the eTwo system works is provided further down the page. There are providers in most cities that offer solutions. If you are in Melbourne you can check out Feel Good Laser & Skin, in Sydney Detail Smoother Skin. When acne breakouts penetrate the skin deeply, they damage the skin and the tissue beneath it. As the acne clears, the body tries to repair this damage. During the healing process, the fibroblasts in the dermis produce a substance called collagen. Collagen acts as a scaffold, providing support to the epidermis. Too little or too much collagen in the wrong place will create a scar. Raised (Hypertrophic) acne scars: firm raised bumps caused by too much collagen and are more common on the shoulders, upper back and chest, and in people with darker skin types. Depressed (Atrophic) acne scars: Are the most common type of scar and are caused when not enough collagen is produced. We don’t really know why some people get scars and others don’t. If your parents or other family members have acne scars, it is likely that you will scar too. Sometimes even mild acne can result in scarring. The best way to prevent scarring is to treat acne quickly. There are many treatment options for reducing the appearance of acne scars. Deep ‘icepick’ scars can be removed surgically, while the shallower scars respond to ‘ablative’ techniques that remove some of the epidermis, encouraging new skin cells to grow in place of the scar tissue. Chemical peels and laser resurfacing are examples of ablative treatments. These treatments take longer to recover from and have high rates of complications (pain, swelling, redness and infection). Ablative techniques also often cause areas of uneven skin colouration (hypopigmentation) lasting up to two years after treatment, particularly in darker skin types. Non-ablative methods and ‘fractional’ lasers are more gentle and have fewer side effects but require more treatments to achieve acceptable results and so are more expensive. Fractional lasers have applicators made up of small electrodes in a grid pattern, to ‘fractionate’ or break up the laser energy into small pinpoints. A new generation of non-ablative fractional technology has been developed that is as effective in reducing the appearance of acne scars as ablative techniques, but with shorter recovery periods and fewer side effects. This technology is called ‘sublative’ skin rejuvenation and relies on radiofrequency rather than laser energy. Radiofrequency (RF) is a lower intensity energy than laser, but travels through the skin in a different way, penetrating deep into the dermis without harming the epidermis. Sublative technology is suitable for all skin colours. Syneron-Candela are one of the leaders world-wide for lasers that are suitable for all skin types. Although acne is a common problem, it can cause quite significant mental health issues. The emotional impact of acne on an individual is difficult to predict, because even mild cases of acne can cause emotional stress. The impact has been made worse by our love affair with social media and the constant drive to photograph ourselves. Acne sufferers have been shown to have higher levels of depression and anxiety than their peers and the stress and frustration caused by being unhappy with their appearance has been shown to create hostility, anger and antisocial behaviour. Stress and negative emotional states can also cause further acne flare ups, creating a vicious cycle of high emotional stress. Effective treatment of the acne reverses these negative consequences. Scarring from acne has a much longer term psychological impact and can severely reduce a person’s self-esteem, ability to interact socially and generally enjoy their life to the full. Facial scarring is difficult to hide, particularly for men who can’t resort to cosmetics to help reduce the scar’s appearance. These quite serious psychological impacts of acne and acne scarring make effective early treatment of acne a priority. Acne and acne scarring causes high levels of distress and embarrassment to many people and in some cases has a huge impact on their happiness and quality of life. Early and effective treatment of acne not only improves sufferer’s confidence and self-esteem, it is also the best way to avoid acne scars in the future. 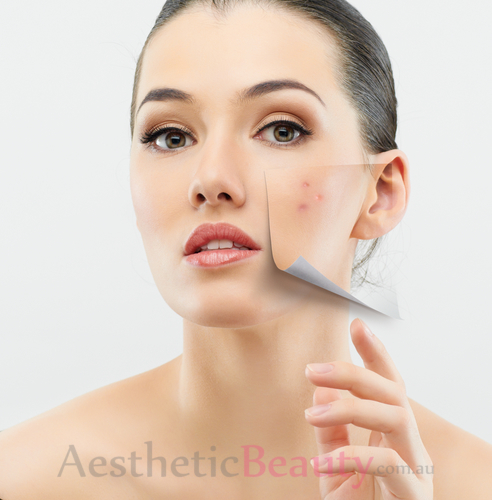 There are many treatment options for acne and acne scars. If you have been considering treatment for your problem with acne or acne scars, book an appointment with a Dermatologist, doctor or skin clinic to find out what the acne and acne scar treatment options are available for you and your skin. An innovative development in medical devices for the treatment of acne scarring has lead to a non-aggressive but highly effective acne scar treatment.